Salad has become an integral part of our diet (strictly followed by my hubby) as we got more health conscious as a new year resolution we took couple of years ago. At times I get lazy and resort to left over dinner for my next day lunch. But a fresh box of spring mix sitting in my refrigerator always makes me guilt free even I indulge on some baked stuff :). 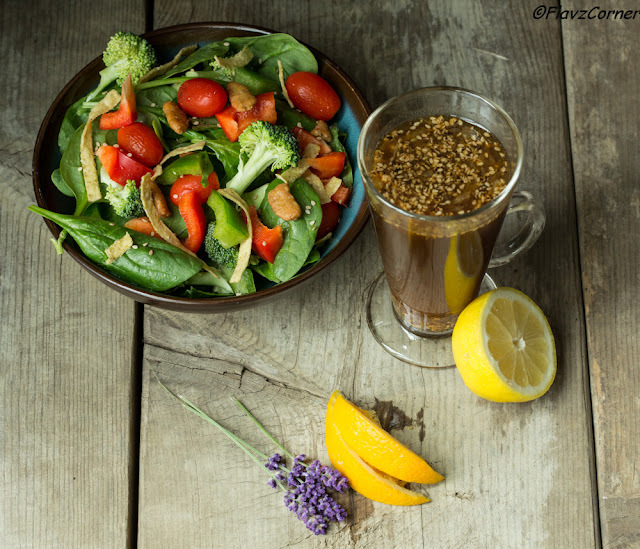 Including salad in your daily diet not only makes you feel that you are doing something right for your body, but also provides the recommended intake of dietary fiber. Salad diet really helps to shed down the extra adipose that is gained with irregular eating habits. At least that's what my experience is. 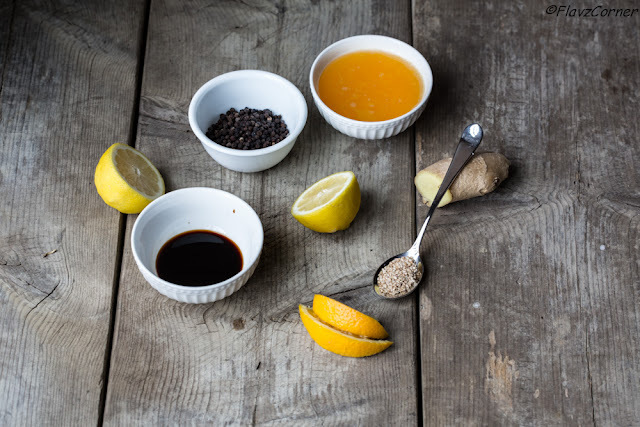 I love this uplifted version of Orange Sesame Dressing that has a hint of Ginger and orange zest. The nutty and citrus flavors of this Asian dressing can jazz up any spring leaves based salad. I usually throw some sesame sticks or fried noodles into the salad to give the crunch. Put all the ingredients together in a air tight bottle/jar and shake well till everything is blended together. Refrigerate for 30 minutes to 1 hr. 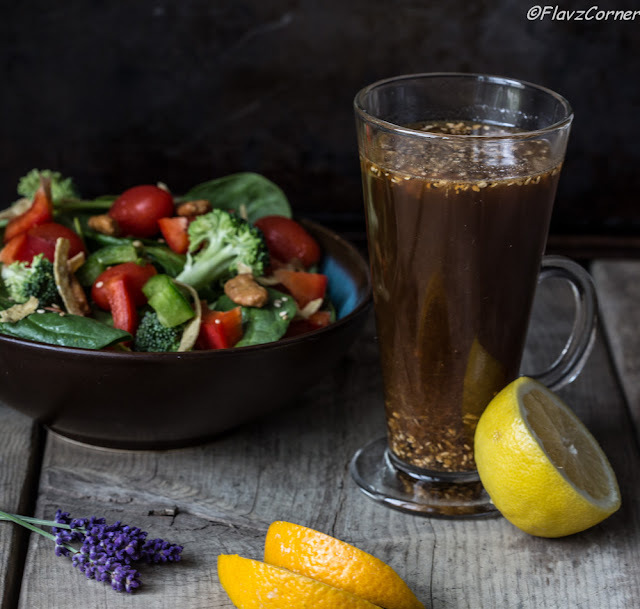 Drizzle it over your favorite spring leaves mix and vegetables. Add some sesame sticks and fried noodles. Enjoy the salad. We eat a lot of salad, and can practically live on it at this time of the year! Love the dressing - what a great flavor. I really need to use ginger more in salads! Good stuff - thanks.